The holidays? Aren’t we still at the beginning of September? Well, yes, we are, but it’s as good of a time as any to start talking about preparing for the holidays. The big thing we’d like to talk about today is how you handle holiday parties. Holiday parties usually start somewhere around mid-October for Halloween and stretch all the way through January. It’s a great time to gather family and friends that you may not see all the time to celebrate and enjoy each other’s company. We understand that getting together for the holidays is important and we’ve got a few tips on how to make your apartment holiday parties run smoothly! Talk to your neighbors. This is number one on our list for a few reasons. First, a little bit of consideration goes a long way. 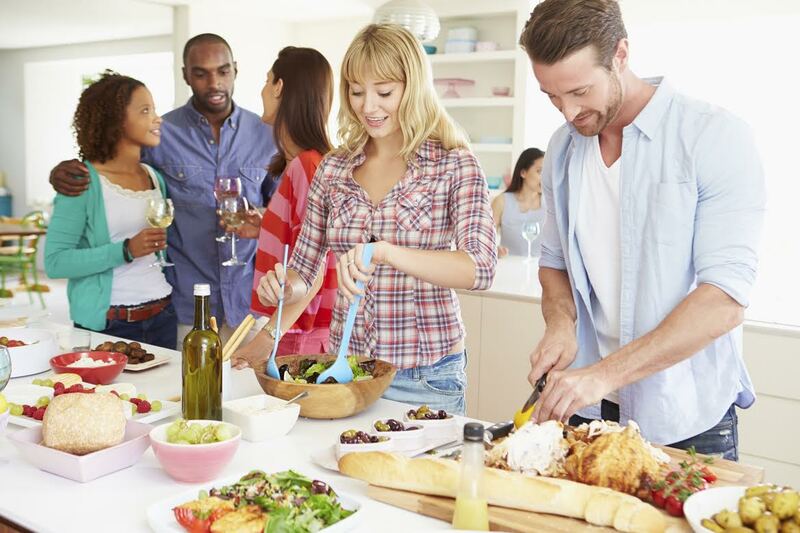 If you know that you’re going to have a lot of people in your apartment and that the party might go a little later than usual, simply tipping off your neighbors can help ease the situation. It’ll give them a chance to prepare and may even lead to a new friendship! Better yet, if you know the crowd is going to be large, talk to the leasing office about renting out the clubhouse for an evening! Prepare an end time. Does that mean that your party has to end at precisely 11 PM EST? No, but it’s a good starting point. Having an ideal end time in mind will help you to wrap up your party and make sure that you (and your neighbors) can get some sleep. Give your party guests an idea of when you want the party to end so that they have an idea of when they’re expected to head home for the evening. Invite the people that matter. It’s always nice to have a full house, but inviting a smaller number will help you keep the noise level to a minimum and ensure that you get to spend a little more time with all of your guests. Over inviting can lead to people flooding the apartment common areas. Make sure that you have enough room in your apartment for everyone that you invite and then some, just in case an unexpected +1 shows up. Безопасный и мощный крем instantly ageless сделает вас еще прекраснее за несколько минут! There’s nothing quite like enjoying the holidays in a place you love with the people you love. If you’re looking for a new place to spend your holidays this year, it’s time to check out the most coveted address in St. Mary’s County. Not a resident of Apartments of Wildewood yet? No problem. To set up an appointment to check out an apartment rental from Apartments at Wildewood, call us at 301.737.0737or visit the website! For more about renting with Wildewood, check out our Facebook, Twitter, Pinterest, or LinkedIn. This entry was posted on Wednesday, September 10th, 2014	at 1:35 pm	. Both comments and pings are currently closed.